Santa and M rs. Claus are master mentors when it comes to parenting. Want a good read? Would you like to follow Santa and Mrs. Claus as they deal with parenting issues with love and wisdom? Santa Claus has finally spoken on the subject of parenting. Who is better suited to give advice than the one who has brought joy and delight to children for as long as anyone can remember? In this fictional account, Santa commissioned author and lecturer Roland Trujillo to publish this book after granting an interview with him at the North Pole. What are "time outs Santa Style?" How does Santa handle discipline and communication issues? What's on Santa's do's and don'ts list? What is Santa's secret to making chores fun and easy? What does Santa say to parents about getting off to a good start? You'll find the answers to these questions and more in this book, destined to become a classic. 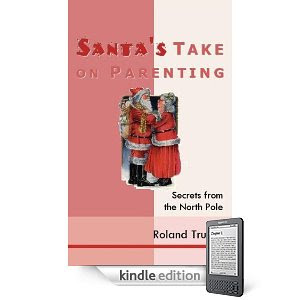 Roland's new book is a Santa story for grownups with many teachable moments. Your kids will listen when you say "Santa says." It's better than attending a class and you don't even have to leave home or use any gas. I know what you are going to say, because I have heard it before. I even heard it from a nice lady who was a receptionist at an office I used to visit. I told her that I was writing a book about parenting. "What are you writing about right now?" she asked. I said: "Right now I'm writing about how awful it is to force a child to stay in her room just because she was a little slow in cleaning her room. " She said: "That's what I do with my daughter. I make her stay in her room." I shook my head. This nice lady has thick glasses on, and I could see a picture behind her desk of a little angelic looking girl with thick glasses on (I'm guessing this was her daughter). I said, "Why don't you try patience?" She said, "I tried patience and it doesn't work!" I assured her that patience does work. You see--she, like so many other parents, doesn't think that patience will work. It's because she never gave it a chance. No wonder she says it doesn't work. You see, patience never fails. Well, here's something I know for sure. Patience=love. So now I am going to prove to you that patience does work. I know that if I can convince you that patience works, both you and your child will be much happier. All you have to do is preview the book free and you will have discovered several strategies that are based in patience and that really work. I will be happy if Santa helps improve your relationship with your child. ﻿﻿﻿ Written in the tradition of LePetit Prince and Jonathan Livingston Seagull, this magical little book is the best kept secret in parenting literature. It can be read as a heart warming story; but like Le Petit Prince, it also is filled with profound insights and meaning. Santa's Take on Parenting can be read over and over. It has the amazing quality of sparking new insight each time it is read. It makes a great gift. But don't take my word for it. Read it for yourself.Shadow Santa and Mrs. Claus as they demonstrate their skills in gently but firmly guiding two kids with issues who are visiting with them. Find out the secrets to their success. Discover what Santa's skills are and why they work. Let Santa and Mrs. Claus be your mentors! Incidentally, just as parenting is a year round job, so is learning and developing your parenting skills! Don't wait until the holidays. "Dr. Roland Trujillo PhD and Senior Pastor has written the book (now at Amazon.com) on alternatives to spanking. It is called Santa's Take on Parenting: Secrets from the North Pole. It will actually mentor you in learning how to apply patience and wisdom in working with your kids. It is also one of the sweetest books ever written and is right up there with Miracle on 34th Street as an all time reminder of what love is all about. " 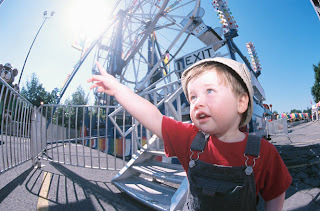 "Little kids don't need discipline, they need direction and redirection. They need watching with love, kindness, and patience. 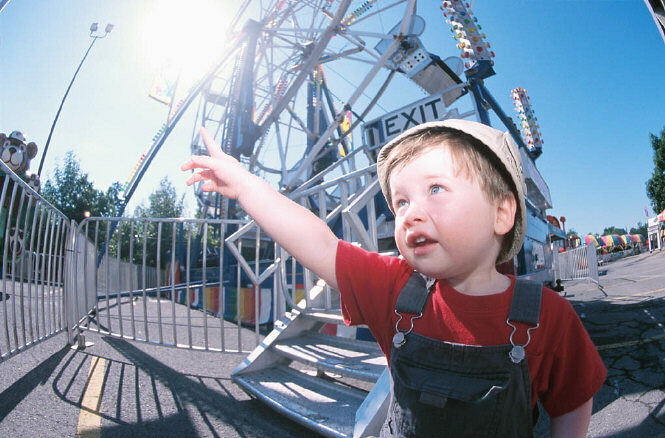 Older kids need the loving presence of an involved aware parent. They need mentoring, coaching, and a parent who sets a good example. I'm going to tell you the truth. Time outs or spanking are poor substitutes for patience and wisdom. ﻿﻿﻿ Written in the tradition of Le Petit Prince and Jonathan Livingston Seagull, this beautiful little book can be read as a heart warming story; but like Le Petit Prince, it also is filled with profound insights and meaning. Santa's Take on Parenting can be read over and over, and it makes a great gift. Shadow Santa and Mrs. Claus as they demonstrate their skills in gently but firmly guiding two kids who are visiting with them. Click here to preview at Amazon.com in both quality paperback and in Kindle. Now at Barnes and Noble Nookbook. In color! All you have to do is preview the the book or the eBook free and you will have discovered several strategies that are based in patience and that really work. Santa Claus has finally spoken on the subject of parenting. Who is better suited to give advice than the one who has brought joy and delight to children for as long as anyone can remember? In this fictional account, Santa commissioned author and lecturer Roland Trujillo to publish this book after granting an interview with him at the North Pole. What are "time outs Santa Style?" How does Santa handle discipline and communication issues? What's on Santa's do's and don'ts list? What is Santa's secret to making chores fun and easy? What does Santa say to parents about getting off to a good start? You'll find the answers to these questions and more in this book, destined to become a classic. Roland's new book is a Santa story for grownups with many teachable moments. Your kids will listen when you say "Santa says." "Every parent should read this book." "Your book is great and should go over well." “Santa's Take on Parenting" is a real find. I was looking for a book that makes the case for positive and creative parenting without spanking or excessive reliance on punishment. I plan to provide a copy to my moms and dads who are just getting started or soon to be parents. I also wish to make it "required reading" for parents who need some coaching in positive parenting. Santa's Take will make learning about parenting fun and easier for lots of busy parents.— Mary, parent educator, Emeryville, CA. Your kids will listen when you say "Santa says." ..Ideal for parents, grandparents, foster parents and anyone who loves kids..
10% of every dollar is donated directly to needy shelters for people (and pets too)! and now available for Kindle too! You like giving books as gifts, but you want to give a book that is fun and useful. You need a book for a dad, a mom, a teenage mom, a friend, or someone who just works with kids. Santa's Take on Parenting reads like a novel, is good for both moms and dads, has dozens of parenting tips, and is fun to read. Santa's Take on Parenting is a fun read and it has lots of creative positive ideas without being heavy handed. It can be read as a good story or as a parenting book. No Particular Issue, you're just interested in parenting and want to read a good book.